Two stores, twenty stores or 200 stores. 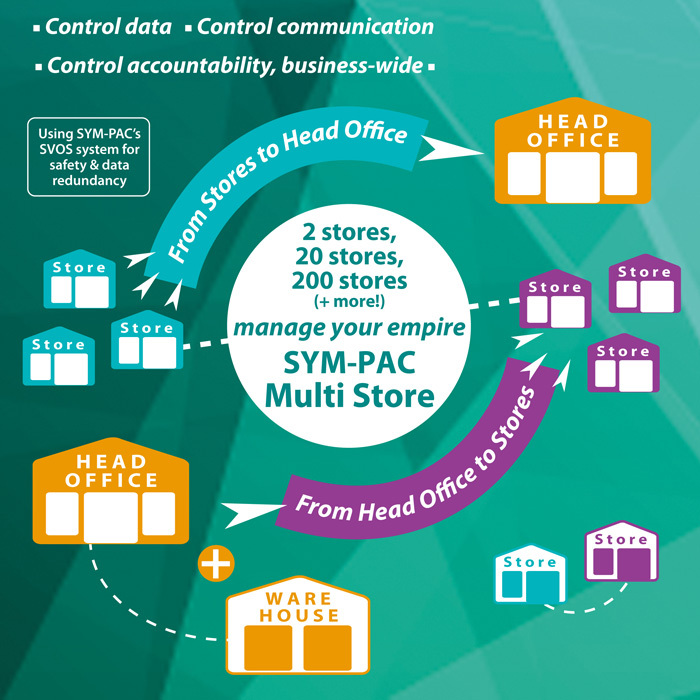 Manage your empire with SYM-PAC Solutions Multi Store. — our business is built on growing your business, your efficiency, your profits. To find out how SYM-PAC can work for your business, call us on 1800 796 722 today.